North Korea’s controversial satellite is “tumbling in orbit,” CBS News reports, citing US officials. Meanwhile, South Korea confirmed that the satellite has been successfully launched into orbit, but could not verify if it is functioning. The signal is hard to pinpoint by outside players, as the satellite’s frequency is unknown. Wanna know what made Kim so happy? It's a rocket lauch! Опубликовано RT Play 11 февраля 2016 г. The latest reported sighting of the satellite was over the Super Bowl stadium on Sunday. It was spotted just an hour after the game finished in Santa Clara, California. 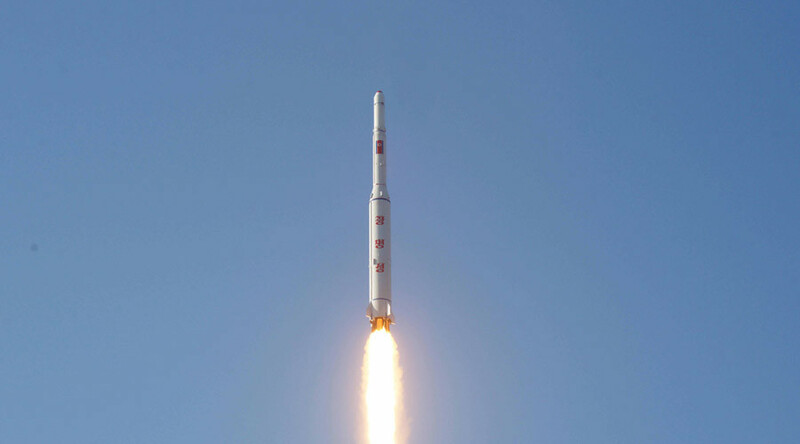 The missile launch took place over the weekend, with North Korea announcing that it had succeeded in placing “newly developed earth observation satellite Kwangmyongsong-4” into orbit soon after. Pyongyang said the purpose of the satellite would be to monitor the weather and to map the location of natural resources and forests. The satellite was launched aboard a “carrier rocket Kwangmyongsong” that blasted off from the Sohae Space Center in Cholsan County. A metal object believed to be a part of the rocket’s fairing – the nose cone which houses the payload – was discovered southeast of South Korea’s Jeju Island by a navy ship, an official from the country’s Defense Ministry said. Seoul confirmed on Tuesday that the satellite has been successfully launched into orbit, but could not immediately verify if it was working as planned. While the launch has been criticized internationally, US National Security Adviser Susan Rice also called the launch “a serious threat” to American interests. “North Korea’s missile and nuclear weapons programs represent serious threats to our interests – including the security of some of our closest allies – and undermine peace and security in the broader region,” Rice said. Russia’s Foreign Ministry said in a statement that Pyongyang is acting against the norms of international law. China’s Defense Ministry also described the rocket launch as a “second violation” of UN resolutions by North Korea in just over a month. “The launch threatens the international system of non-proliferation of nuclear weapons, leading to further deterioration of the situation on the Korean Peninsula,” the ministry said in a statement. North Korea notified the International Maritime Organization (IMO) prior to the rocket launch that it was putting an earth observation satellite into orbit, saying the launch would happen in the period February 8-25. 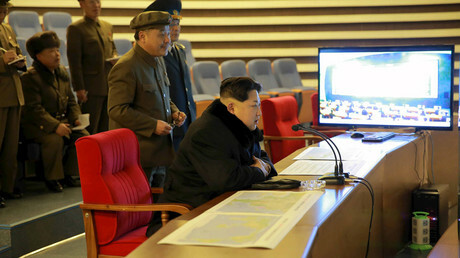 The launch, however, triggered concerns as being a possible long-range missile test. Pyongyang is banned from using ballistic missile technology under UN Security Council resolutions. An emergency meeting of the UN Security Council was scheduled to discuss the event. Sunday’s launch is the sixth long-range missile test by the North. Last month North Korea claimed to have successfully tested a thermonuclear bomb. While many experts doubt that the nuclear device was indeed an H-bomb, the move prompted the US and its regional allies, Japan and South Korea, to seek tougher UN sanctions against North Korean leader Kim Jong-un’s regime. In response, the American THAAD (Terminal High-Altitude Area Defense) system, which is to be deployed in South Korea will have the sole purpose of monitoring North Korea, Pentagon spokesman Peter Cook told a briefing on Monday. According to the South Korean Defense Ministry, Pyongyang has not yet worked out the reentry technology crucial in bringing a launched missile back into the atmosphere, which eliminates the possibility of a successful long-range nuclear bomb launch. Meanwhile, there are reports that North Korea is preparing for its fifth nuclear test, Yonhap agency cited the South’s intelligence services as saying.